The Team here at Southmead & Henbury Family Practice are dedicated to providing our patients with the best possible health care. As a team we aim to be compassionate, courteous and respectful at all times with a focus on enabling patients to be fully involved in their own care and treatment. We offer personal General Practitioner and Family Medical Services. We are a long-established training Practice with around 11,400 patients, practising from two sites. 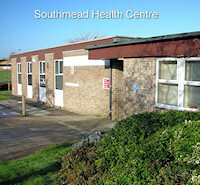 Approximately two thirds of patients are registered at Southmead Health Centre, a modernised NHS-owned building which is also home to several other NHS services. 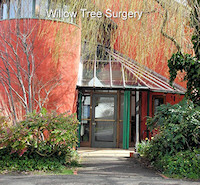 Willow Tree Surgery is a Practice owned site in Henbury where one third of patients are registered and there is an independent pharmacy on site. Southmead has developed its own Community Plan which has attracted funding from a range of sources, and we have excellent links with the Southmead Development Trust, based at the nearby Greenway Centre. Vision Statement - To read our statement please click on the link below. When booking an appointment you will be asked for a description of your problem. We ask for this information so that we can be sure to find you an appointment with the most appropriate person. Please read our details on how we handle your information. Southmead & Henbury Family Practice always tries to give a friendly and professional service to all our patients. We welcome feedback from our patients and value your opinion about the care and services we provide for you. We have a dedicated Reception Co ordinator who is always at hand to discuss any suggestions, feedback or concerns you may have. You can speak to whomever you feel most comfortable – your GP, our Practice Manager or our Reception staff will be happy to help. In the majority of cases, concerns can be resolved quite easily. Our online services allow you to book or cancel your appointments, request a repeat prescription or download leaflets and practice forms for you to complete in the comfort of your own home. The practice building has been constructed to provide facilities for the disabled. If you need assistance please inform a receptionist. There are parking bays for the disabled. Discussions between you and your doctor or nurse are confidential. Where your care involves other members of our healthcare team or referral is required your information may be shared in support of that care. Do let us know if this is something you do not wish to take place. Please be assured we make every endeavour to ensure that matters you discuss are kept confidential.